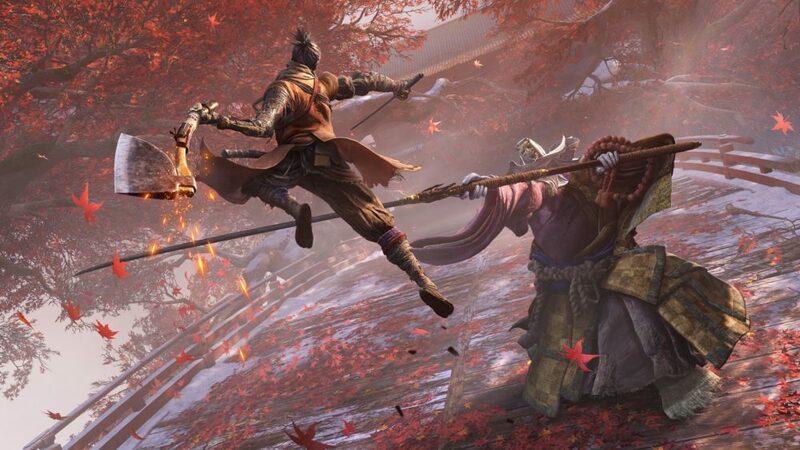 If you’re looking at nabbing the full set of achievements and trophies on offer in Sekiro: Shadows Die Twice, you’ll need to track down the Memorial Mob in the game. Here’s what you need to know on where to find Memorial Mob in Sekiro. Simply put, these are essentially the game’s vendors. They’ll often sell pretty valuable items that’ll come in pretty clutch on your adventure, and so are well worth giving them a visit whenever you spot them lingering around the game world. For example, items like Gourd Seeds, Prayer Beads, Coin Purses, and sometimes even Prosthetic Tools can be purchased from these Memorial Mob vendors. With these being vendors in the game, the Memorial Mob pop up in various different areas as you play through the game. You’re looking out for old-looking dudes hiding behind tents. If you’re after some definite locations to track them down and nab yourself the achievement or trophy, though, we’ve got a couple for you to check out. The first place you’re going to come across the Memorial Mob in Sekiro is located at Ashina Castle Gate. When you arrive here, you’ll want to head up the stairs in the arena where you fight Gyoubu. Alternatively, make your way to the Abandoned Dungeon Entrance. This can only be accessed after beating Gyoubu, however, so keep this in mind. Once you get to the entrance, look out for the Sculptor’s Idol and you’ll find another member of the Memorial Mob waiting for you. That’s everything you need to know regarding where to find Memorial Mob in Sekiro. You’ll also nab yourself the trophy and achievement of the same name in the process. For more tips, tricks, and guides, be sure to check out our ever-expanding Sekiro guide wiki.